So recently I was lucky enough to receive some beautiful pieces from Majique Jewellery London. Majique is a British fashion jewellery brand based in London that sells a wide range of jewellery pieces. When I first saw their website I was blown away by the amount of pieces they had to offer! 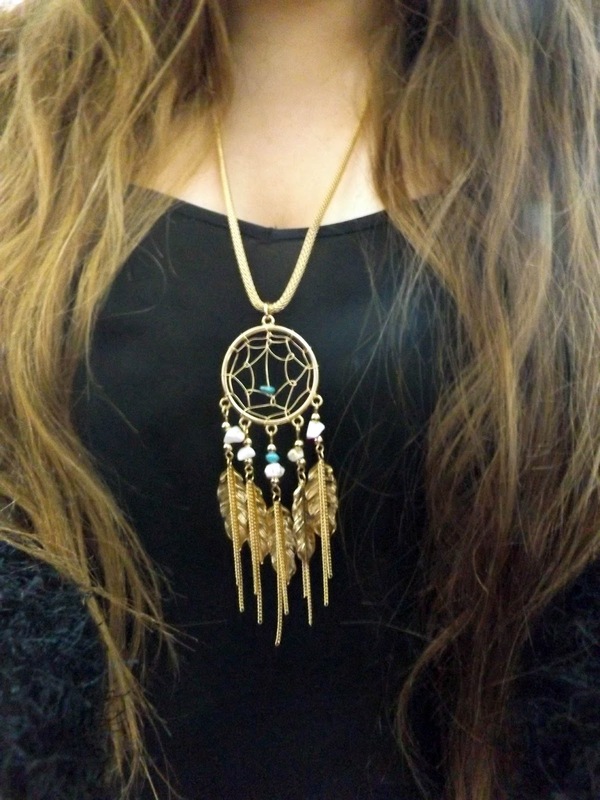 The first piece I got was this stunning long, gold dreamcatcher necklace. 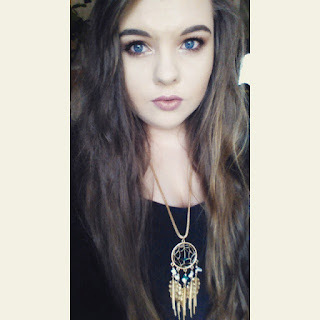 I am absolutely in love with this necklace. When I saw it on their website I had to order it and I put it on the minute it arrived! It has a beautiful turquoise stone in the middle of the dreamcatcher, as well as another turquoise stone dangling from it and 4 white stones. This piece is also available in silver from www.oceanicjewellers.com. The necklace is just the perfect length and sits perfectly. The second piece I got was a stunning open cuff bangle. 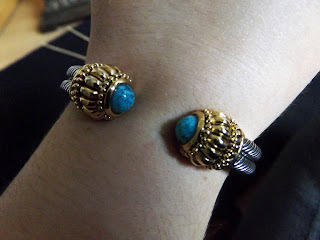 The bangle itself is silver with gold pieces at the end and a turquoise stone at each end. 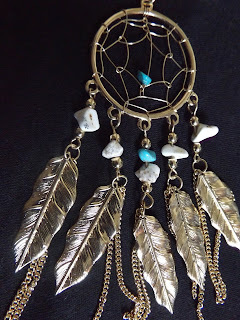 I wore this piece with the dreamcatcher necklace and although the necklace is gold, the two pieces worked perfectly together because of the gold ends on the bracelets and the turquoise stones. Normally I don't like bangles but I love how this one sits on my wrist and it's just a bonus that it's so pretty! 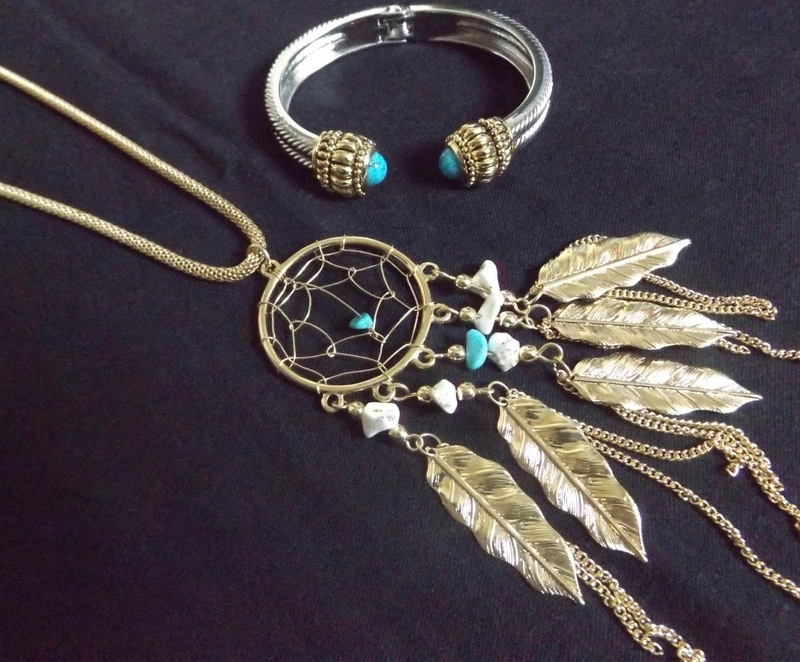 I absolutely love both of these pieces, I'm even thinking about ordering the dreamcatcher necklace in silver because I love it so much! Majique Jewellery is well worth a look, you can see these pieces and more at www.oceanicjewellers.com. 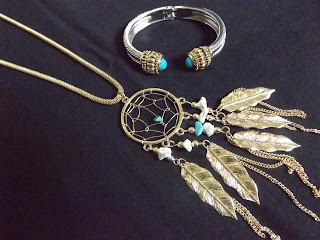 I'll be back with more reviews on Majique Jewellery soon.